There are four airports with international traffic to and from Stockholm. The main airport, used by most airline carriers, is Stockholm Arlanda, located 40 km north of the city. Located some 40 kilometers north of Stockholm, Arlanda (ARN) is Swedens largest airport. It serves more than 20 million travelers yearly and has four terminals. It is easy to get to and from the airport and Stockholm city. An express train (Arlanda Express) departs every 15 minutes during the day, and every 30 minutes during the night. The train takes 20 minutes and arrives at and departs from platforms 1 and 2 at Stockholm Central Station. Another train option is the commuter train. Tickets can be bought at the airport. The commuter train also arrives at and departs from Stockholm Central Station (and other stations on the way). The commuter train takes about 40 minutes. The train departs every 30 minutes. Flygbussarna Airport Coaches offers affordable transfer between Arlanda and Stockholm C, with departures up to every 10 minutes throughout the day. The travel time is approximately 45 minutes. Buy your tickets online for the best price! Flixbus also runs coach connections between Arlanda and Stockholm, around 2 - 3 times a day. Taxis are available and they are all eco-taxis. The Swedish taxi market is deregulated, so free price setting applies to taxi rides in Sweden. Be sure to ask the driver if the company applies fixed prices from the airport. 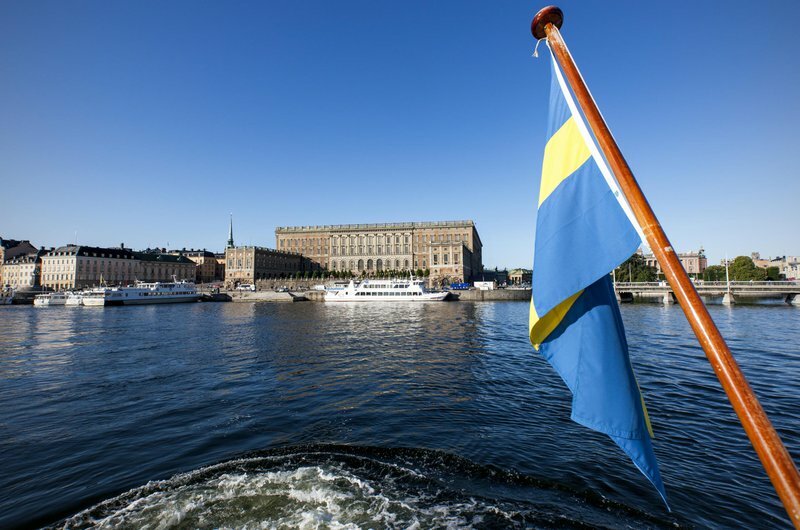 There are maximum price limits for a taxi ride from Arlanda to the central parts of Stockholm. Read more here. Bromma Airport is Sweden's third largest airport. 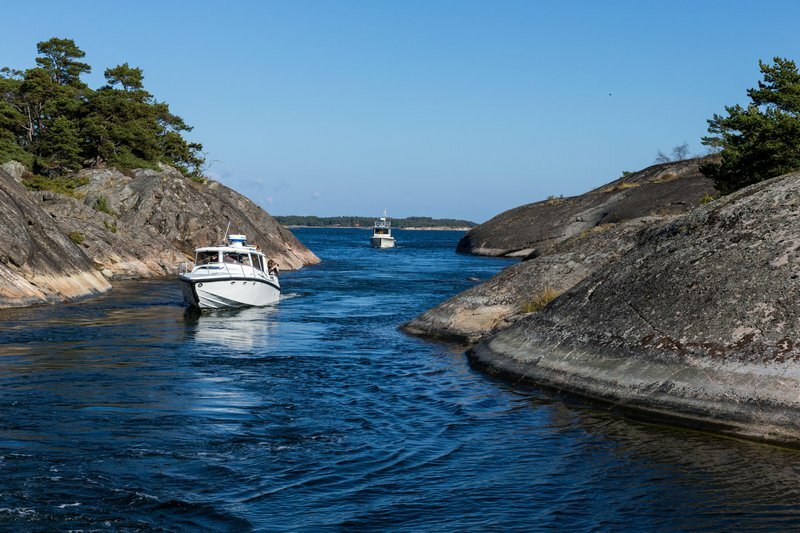 It's located just 9 km to the west of the city center of Stockholm. The airport is mainly used for domestic flights, and you can fly to many Swedish cities, such as Gothenburg, Halmstad, Kalmar, Malmö, Ronneby, Sundsvall, Trollhättan, Umeå, Visby, Växjö, Ängelholm and Östersund. There are both airport coaches and local buses (the station name is Bromma Flygplats) going to and from the airport. Taxi is another alternative. Do you need to travel between Arlanda and Bromma flygplats? By car it takes about half an hour to drive (depending on the traffic). The airport coaches unfortunately don't have a direct connection between the airports, we suggest you travel via Cityterminalen (Stockholm Central) station where buses and trains depart regularly. Västerås and Skavsta are two other airports, both located about 100 km from Stockholm. Flygbussarna Airport Coaches operates both airports. Getting to/from Västerås Airport from Stockholm, Uppsala and Örebro takes about 1 hour by car. Going to/ from Västerås Airport to Falun, Borlänge, Gävle and Karlstad takes approximately 2 hours by car. Getting to/from Skavsta Airport from Stockholm takes about 1 hour by car.